The medical arm of the Malawi Project has grown into a massive undertaking with over $200 million dollars in equipment and supplies delivered to over 600 government hospitals and medical facilities nationwide. 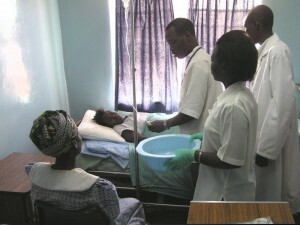 This is the largest segment of the Project’s medical program. Not only has the Project and its supporters extended aid to this immense medical network it accepted the challenge of obtaining most of the funding, equipment and supply procurement to construct a 5-building, 110-bed hospital north of the capital in the early and mid-90’s. The Project worked closely with a Malawi businessman to establish Blessings Hospital with Malawi ownership, oversight and staff. 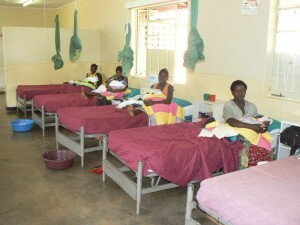 By the late 90’s the facility moved to an independent position from the Malawi Project, and successfully functions today without further support from the Project. Along with the growing distribution network to government hospitals the Project turned its attention in the late 90’s to assisting the Namkango Clinic in Thondwe, Malawi. A medical facility focusing on the delivery of babies the clinic is part of the Namikango Mission established in the late 1950’s. The Clinic was added in 1974, and by the 1990’s was in need of assistance to repair, upgrade and enlarge its capability. 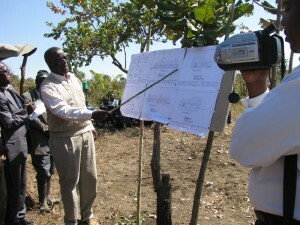 The Project gave financial assistance in a number of areas, and delivered the needed supplies to enhance operations. This assistance continues today. The Project is also involved in establishing yet another medical facility, this one south of the capital a few kilometers northwest of the Dedza Trading Center. As with other programs construction of the Linthipe facility will be a joint effort where Malawians take the lead. The Dzidalire Group has obtained land, surveys are complete, equipment and supplies are in place and only the building construction is needed to begin operations. Fund raising for this project is currently taking place.